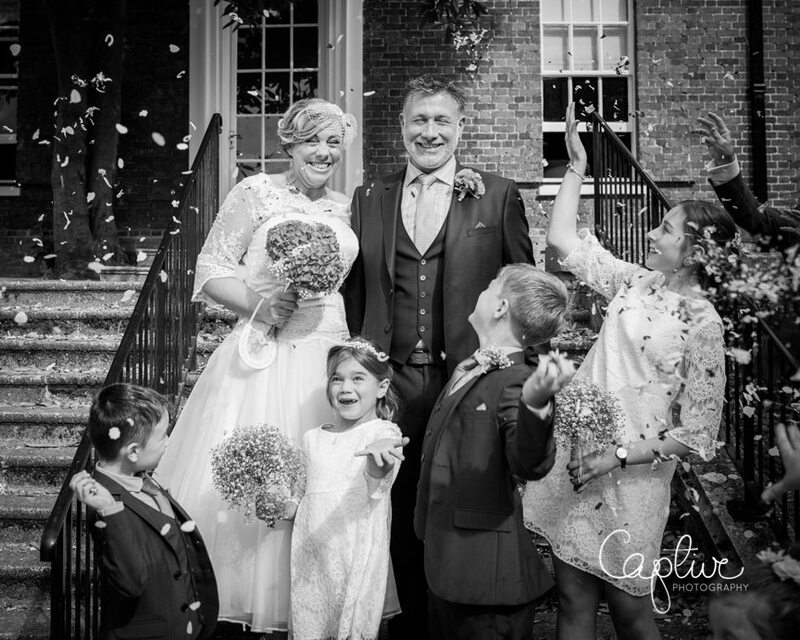 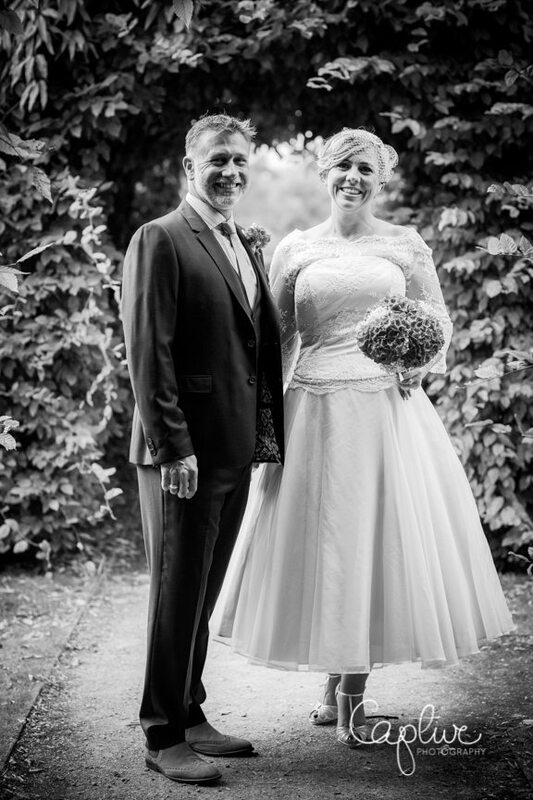 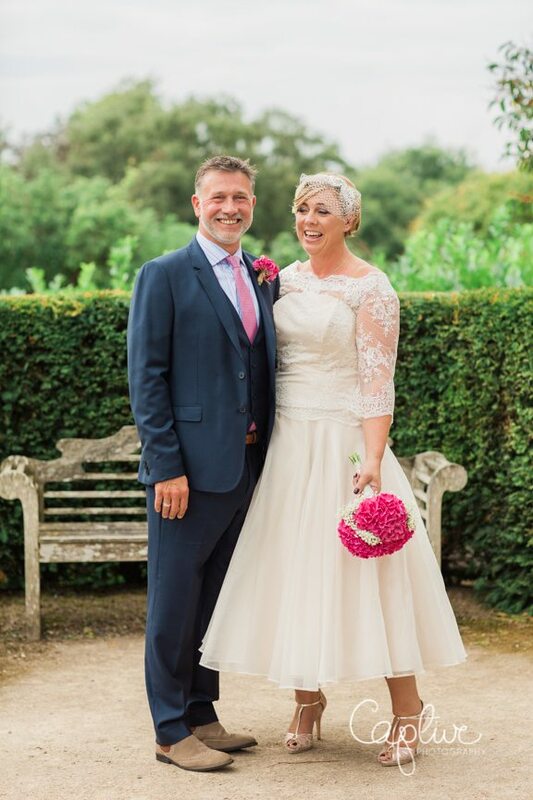 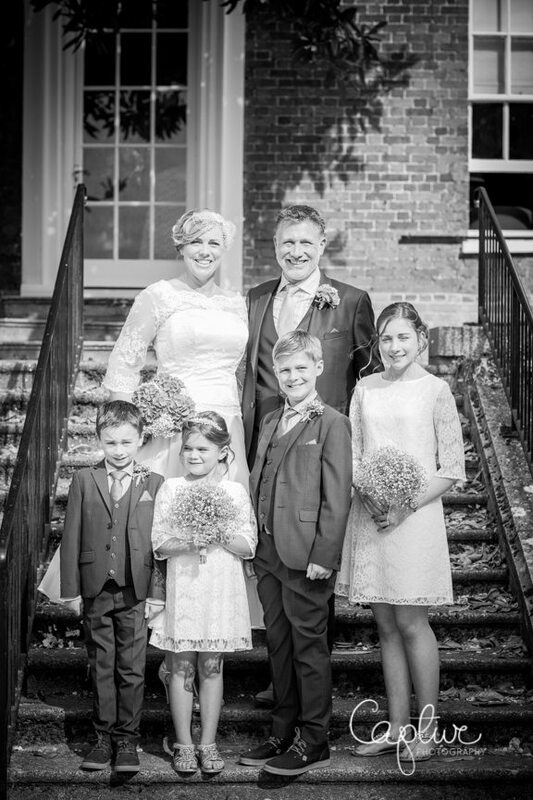 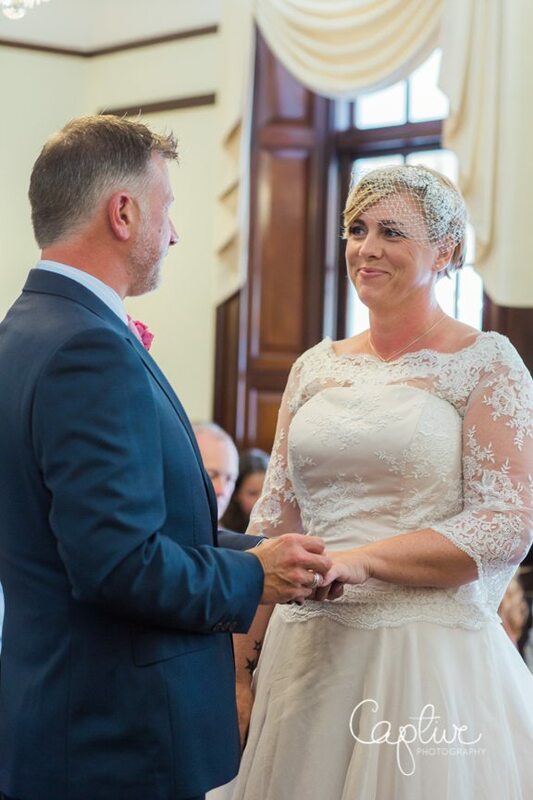 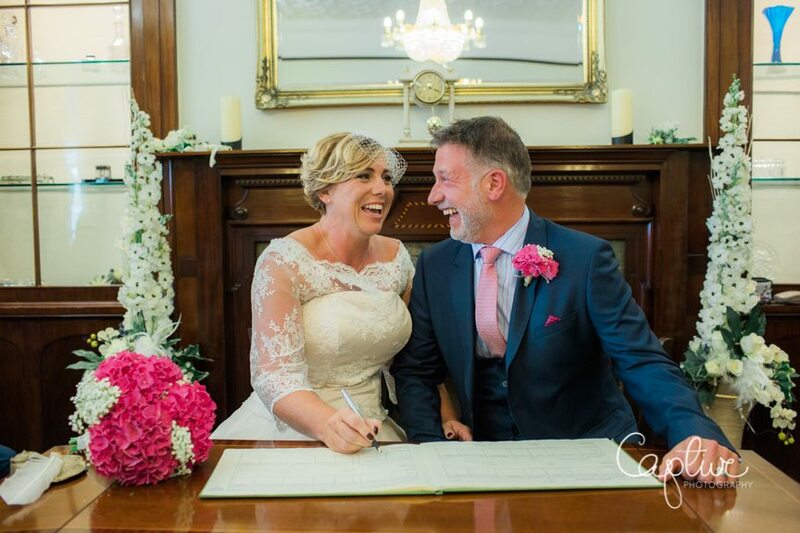 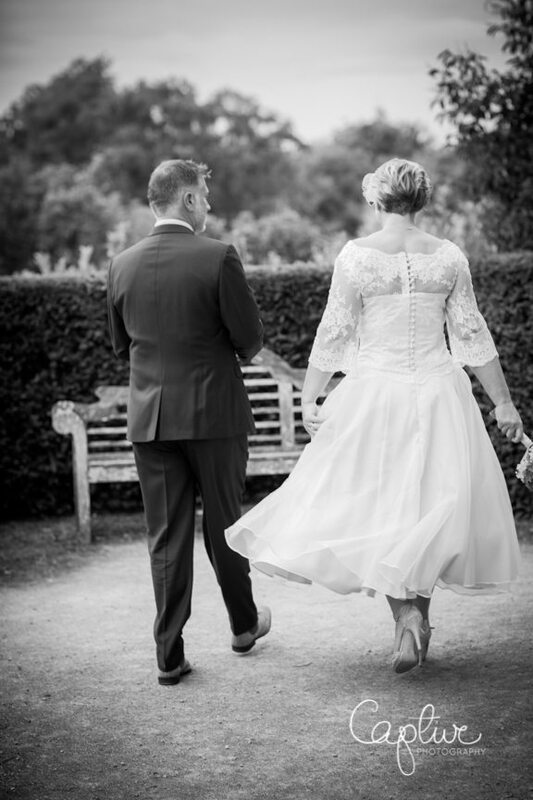 With it’s stunning elegance, The Mansion is a beautiful civil venue for a Leatherhead wedding. 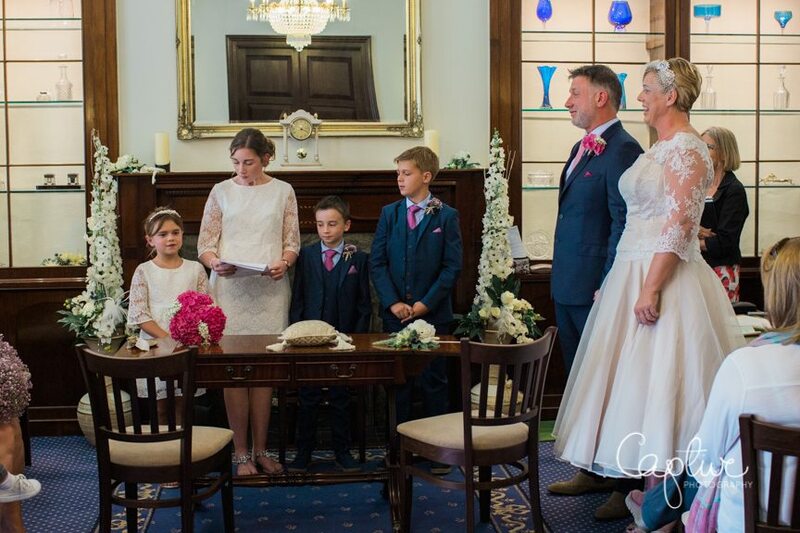 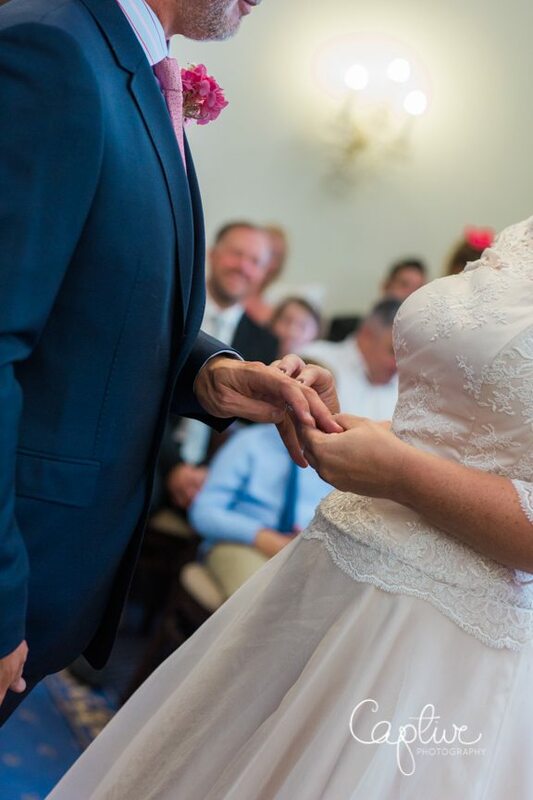 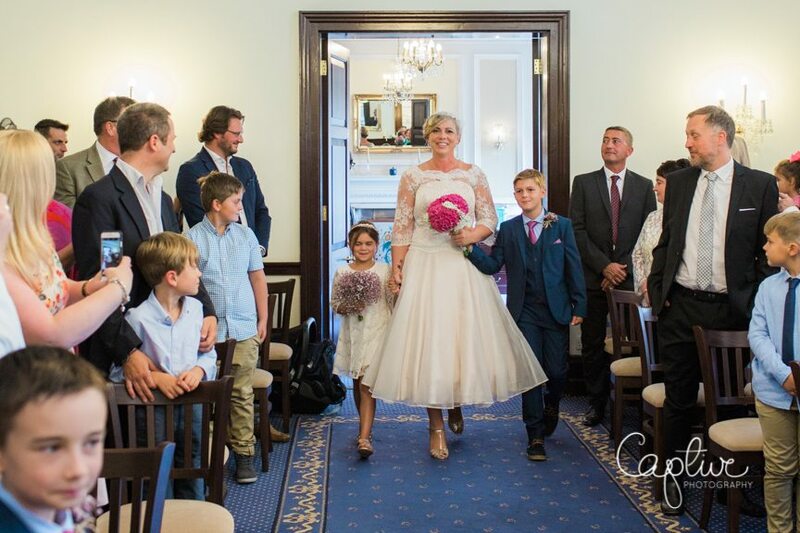 Inside the ceremony took place in The State Room surrounded by the couple’s 4 children and friends and family. 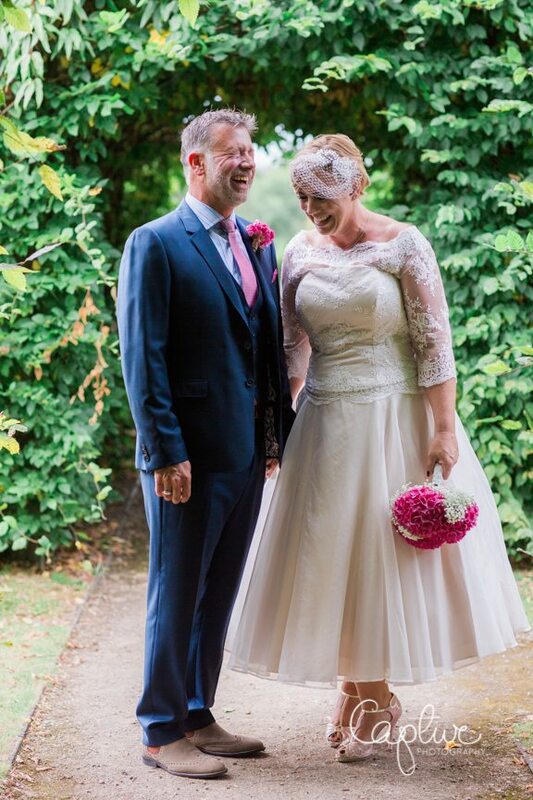 Afterwards we were lucky enough to have the September sun burst through so we could take photographs on the grad terrace and in the gardens. 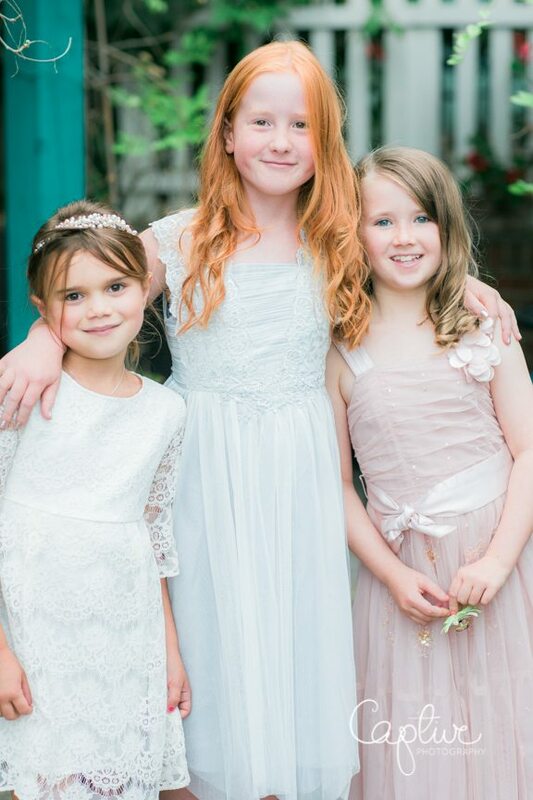 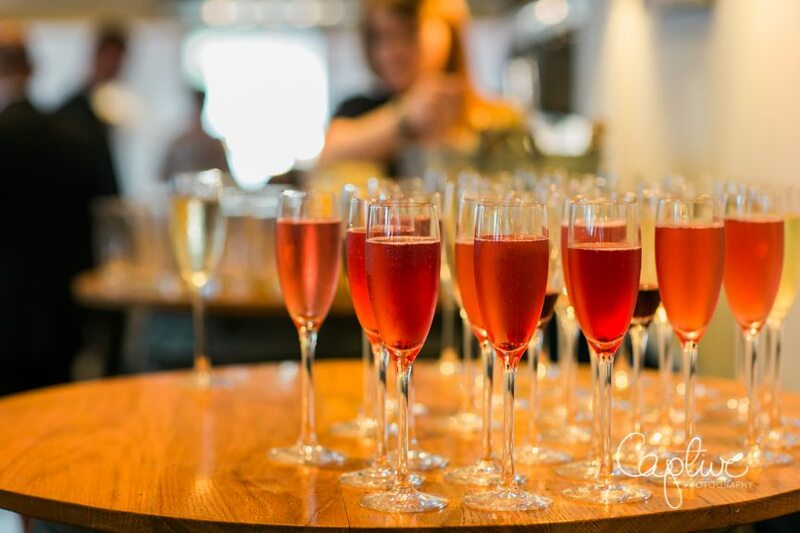 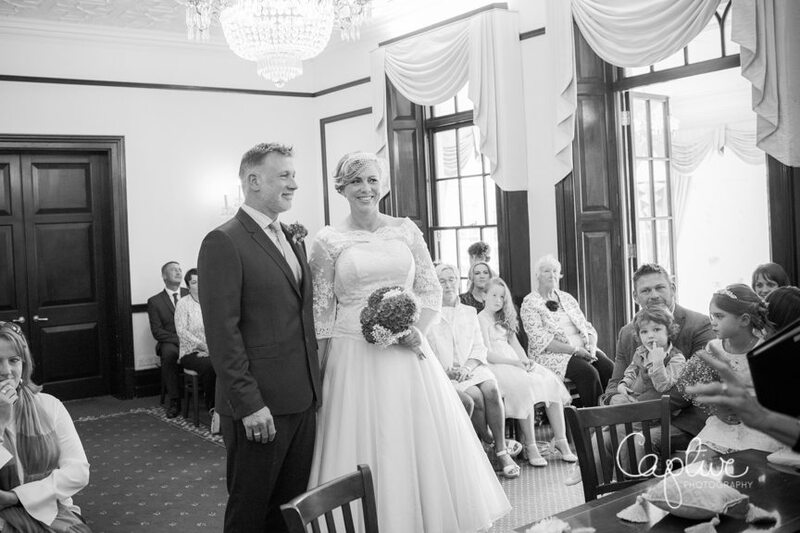 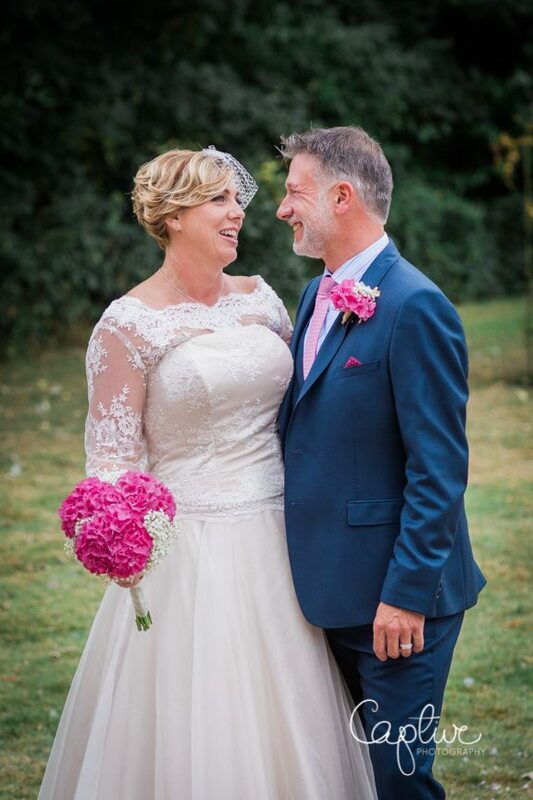 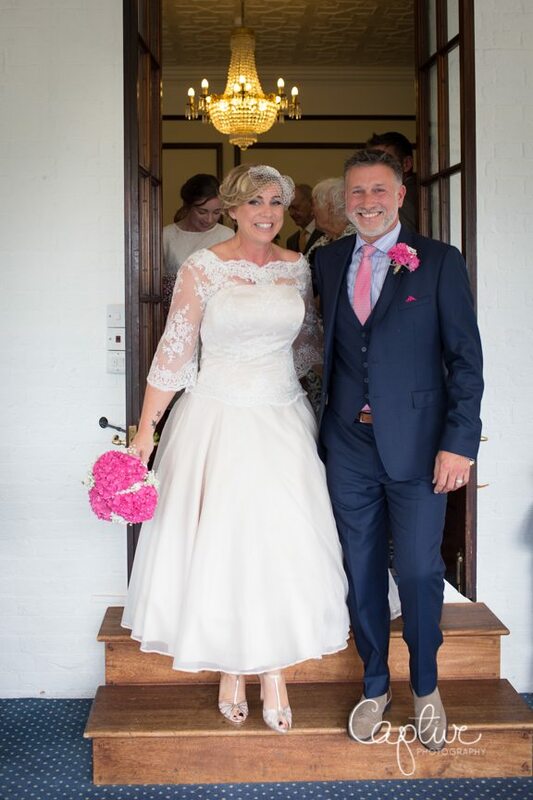 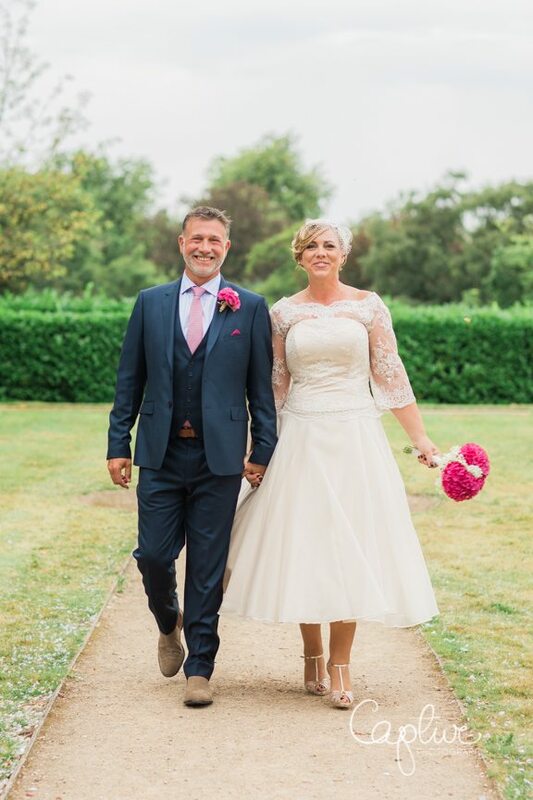 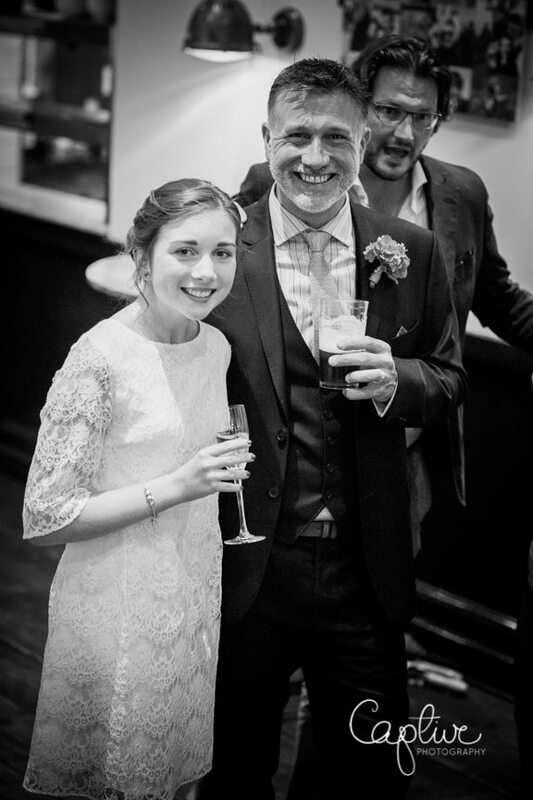 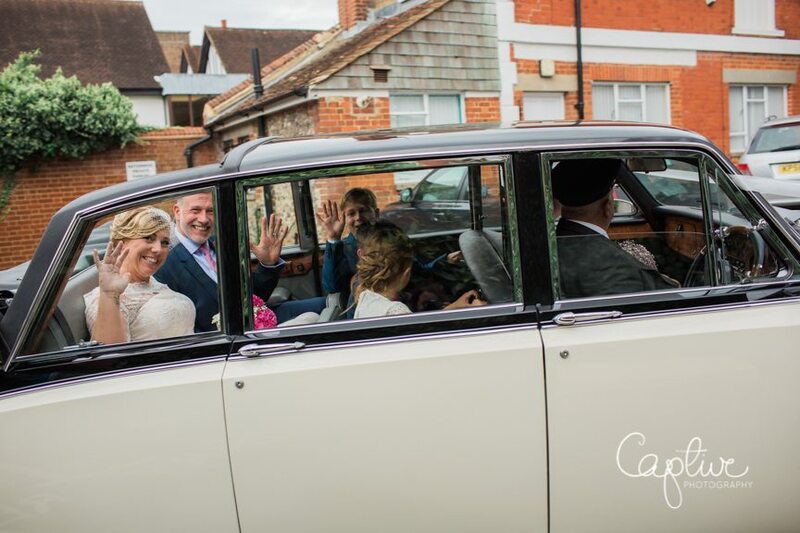 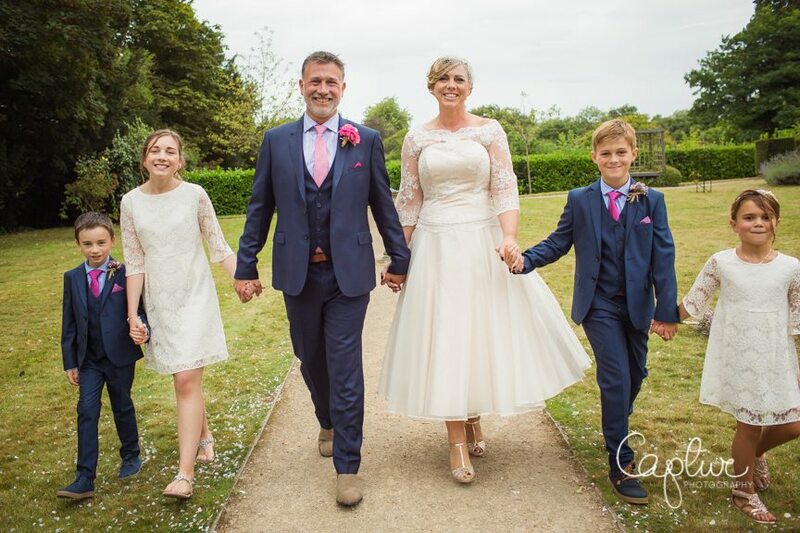 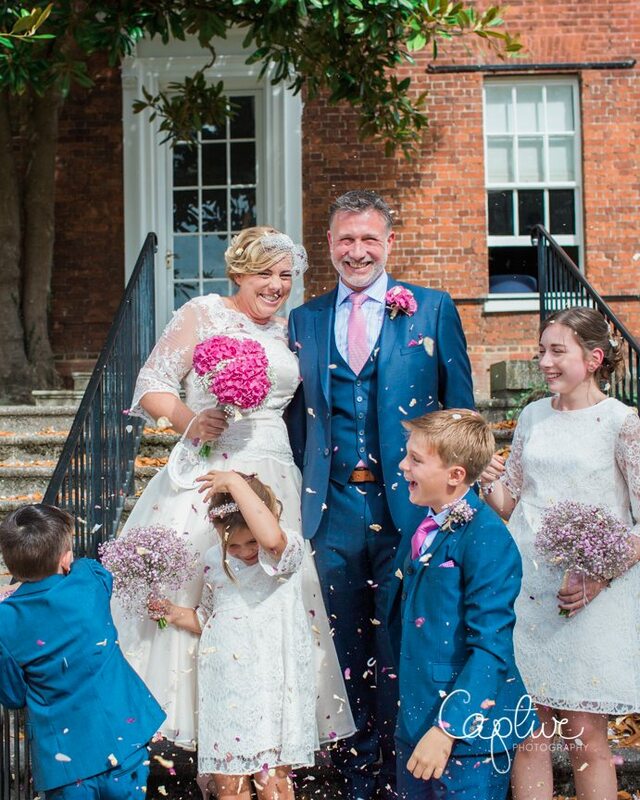 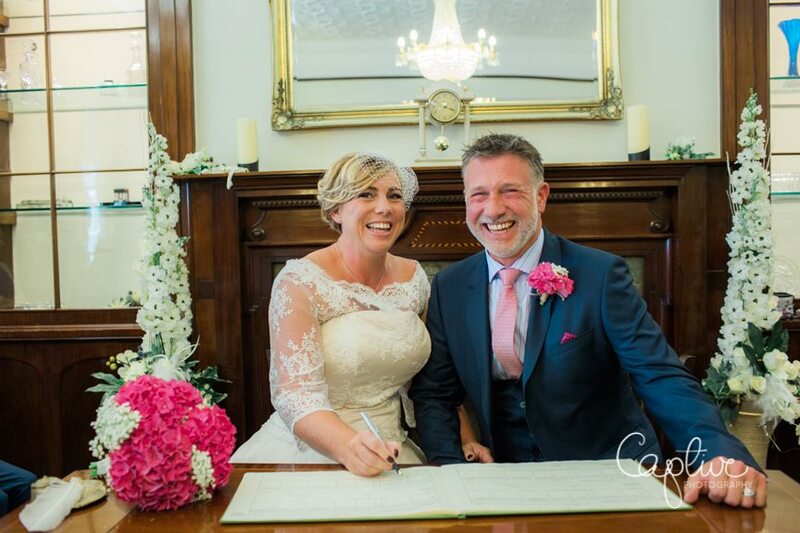 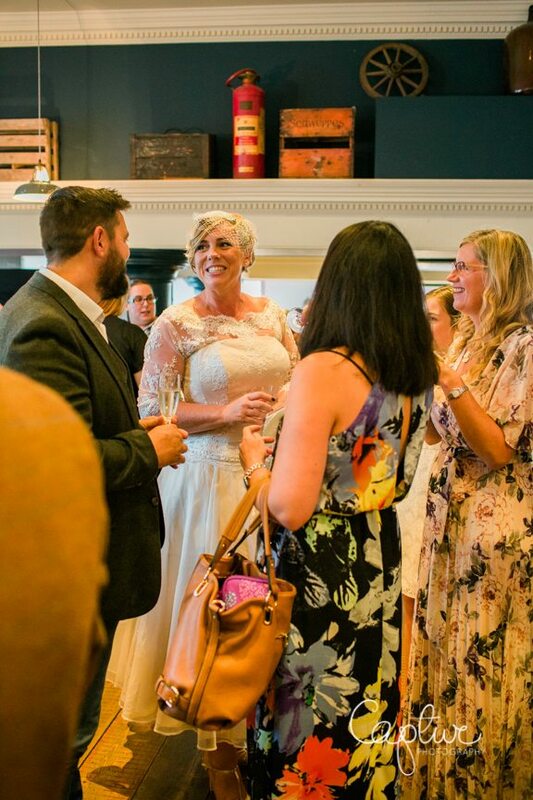 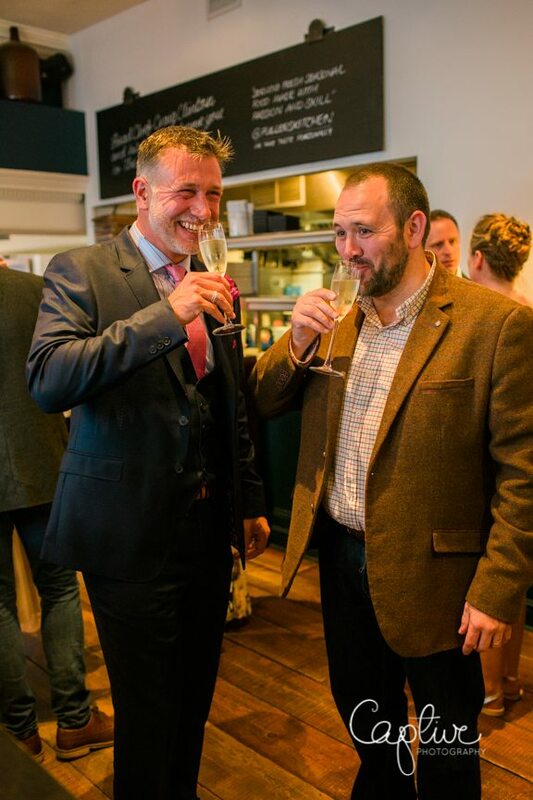 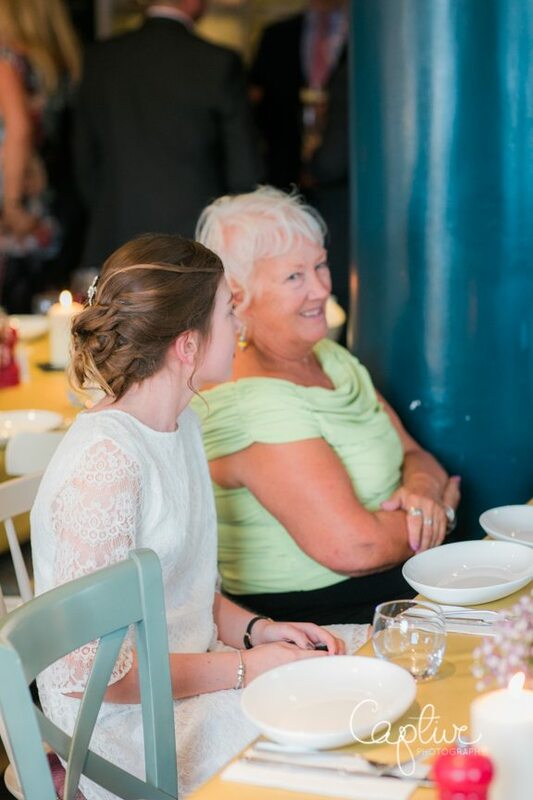 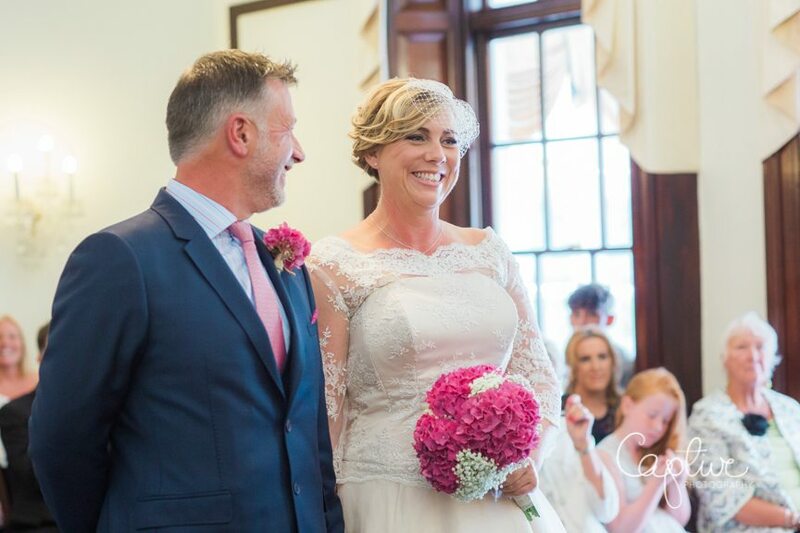 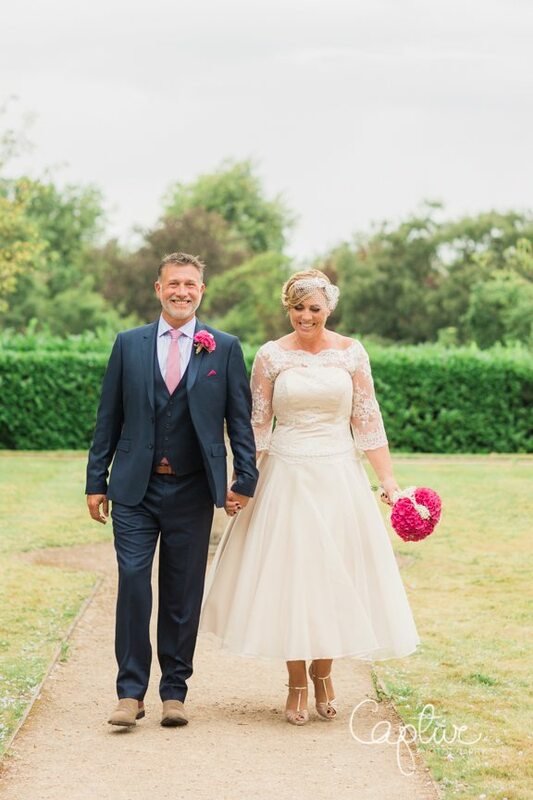 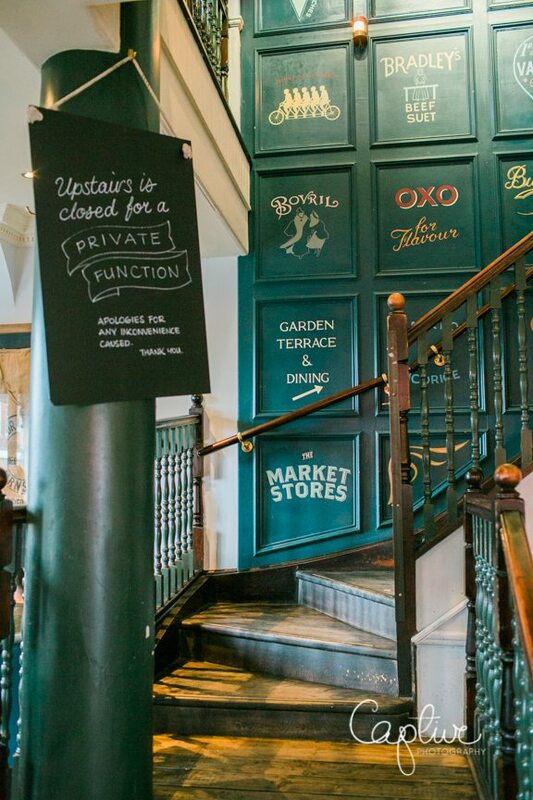 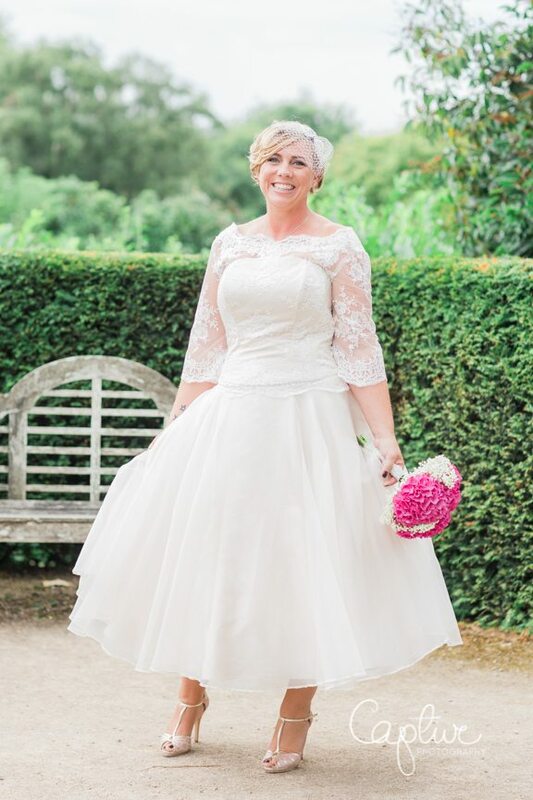 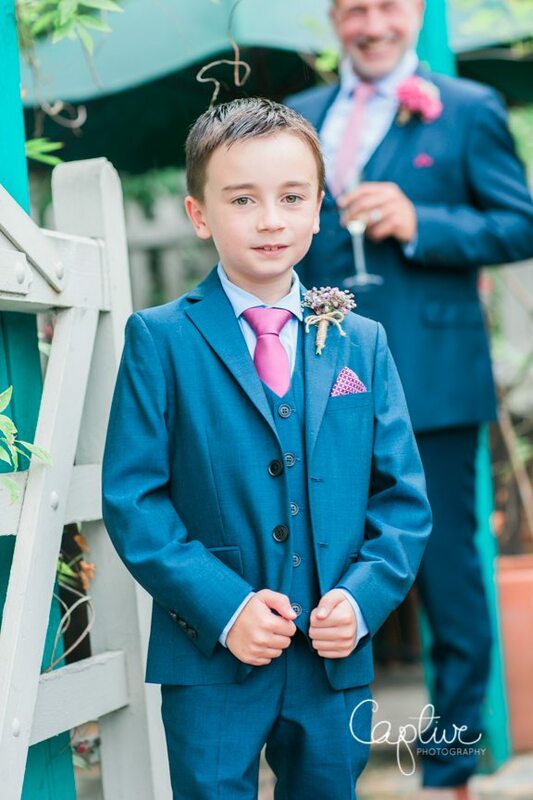 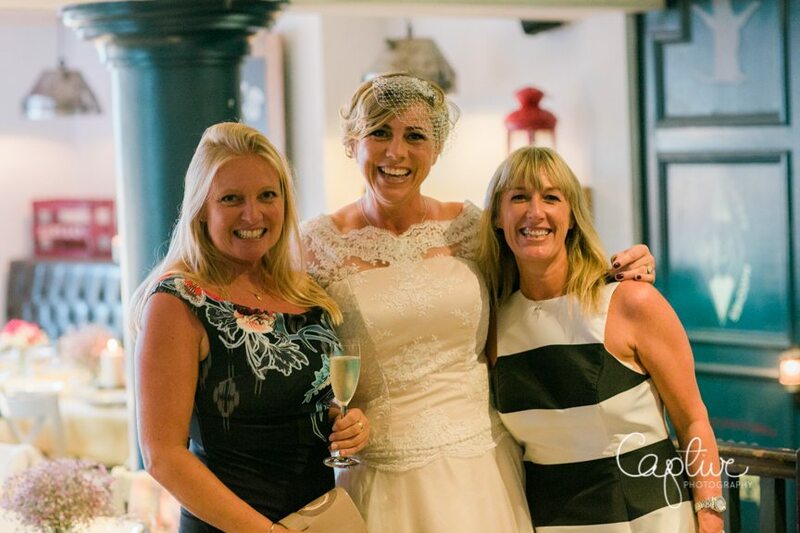 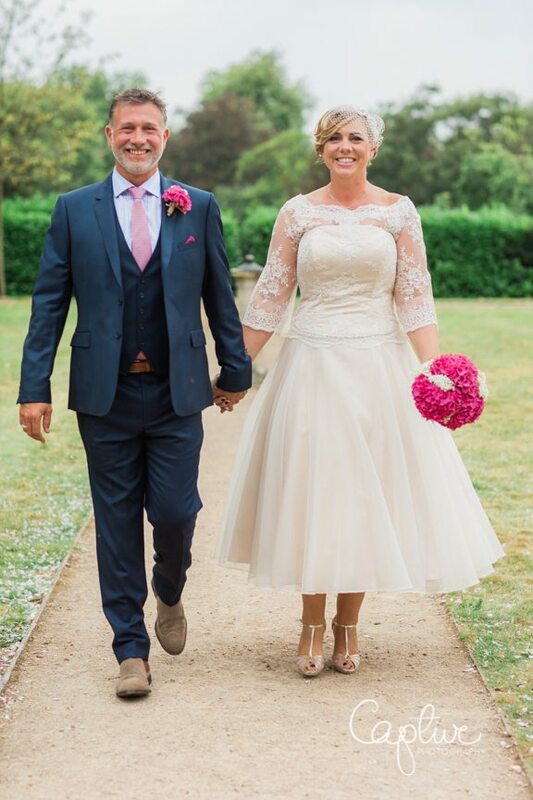 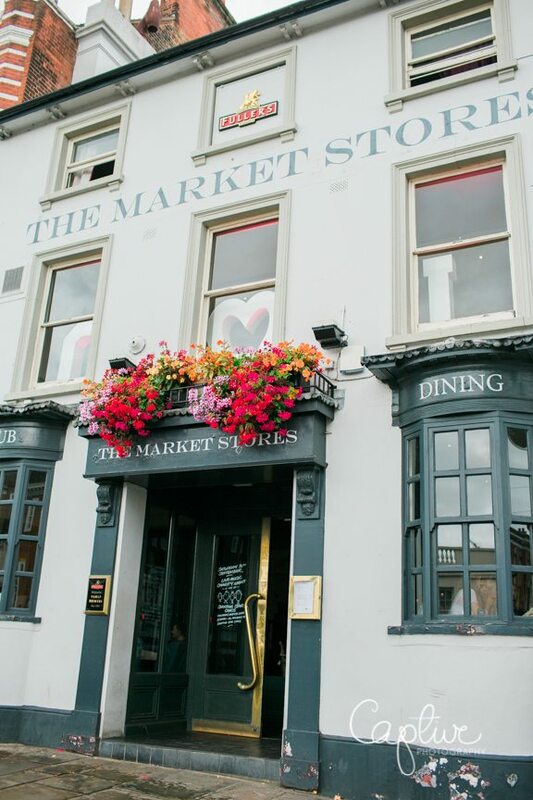 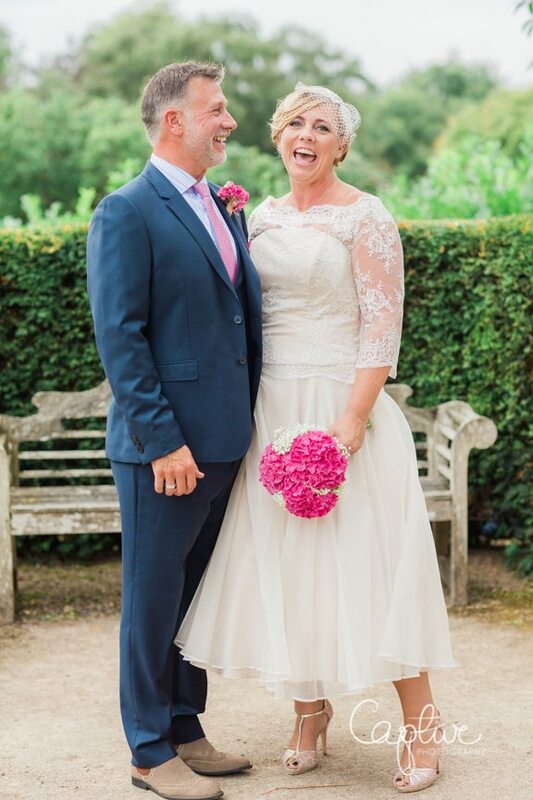 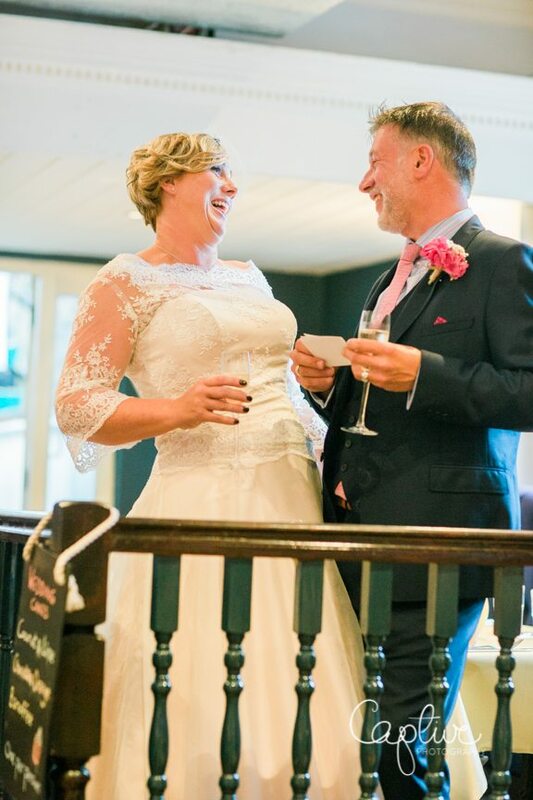 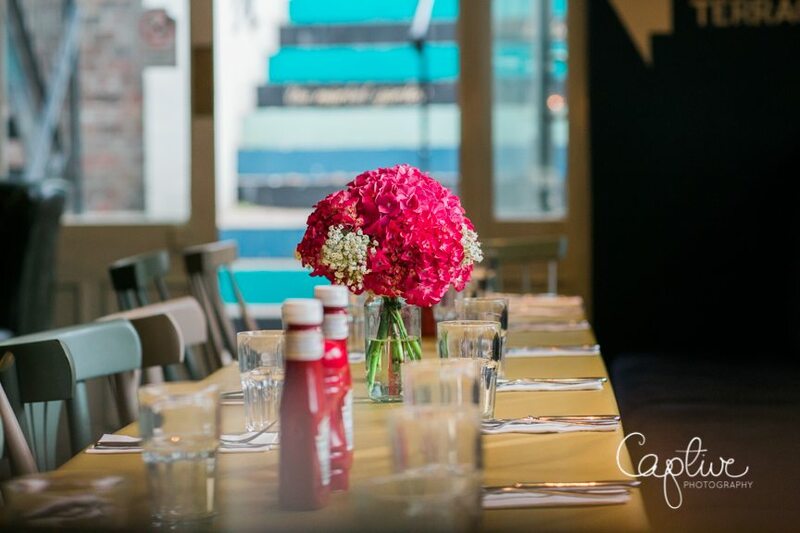 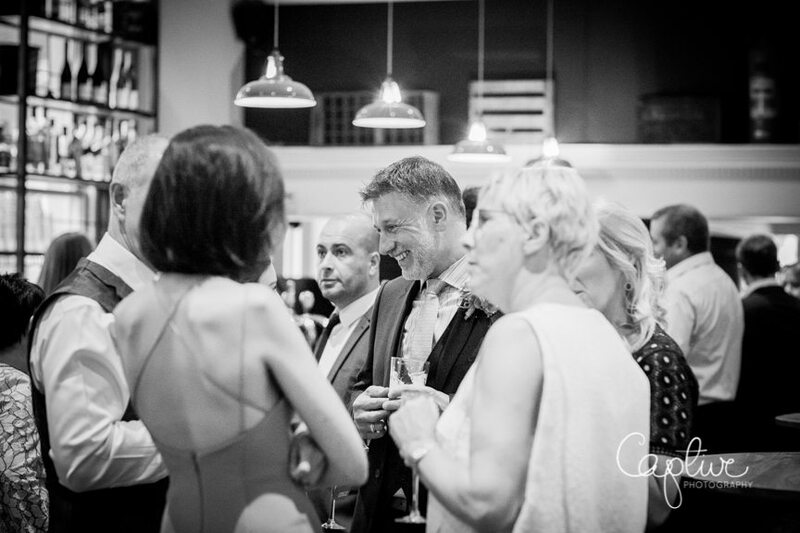 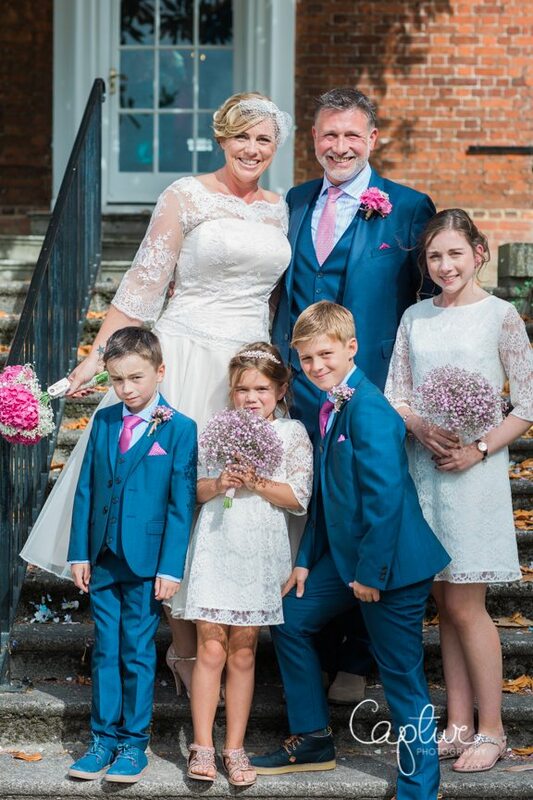 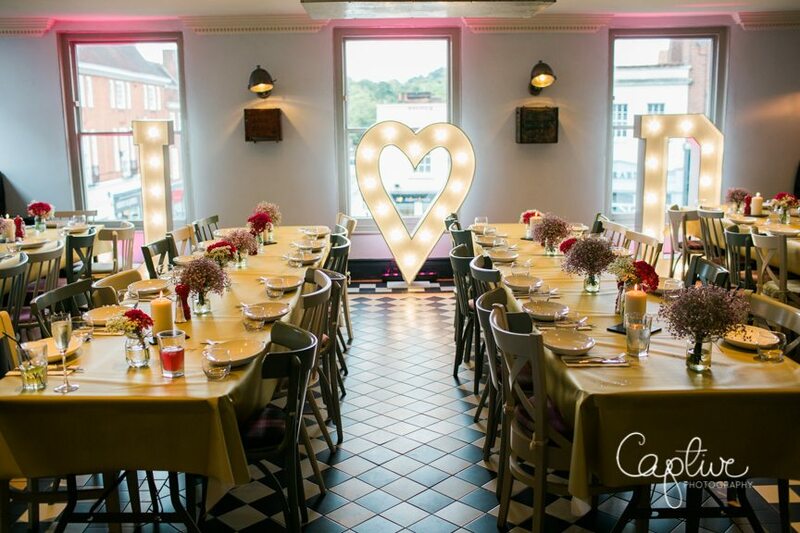 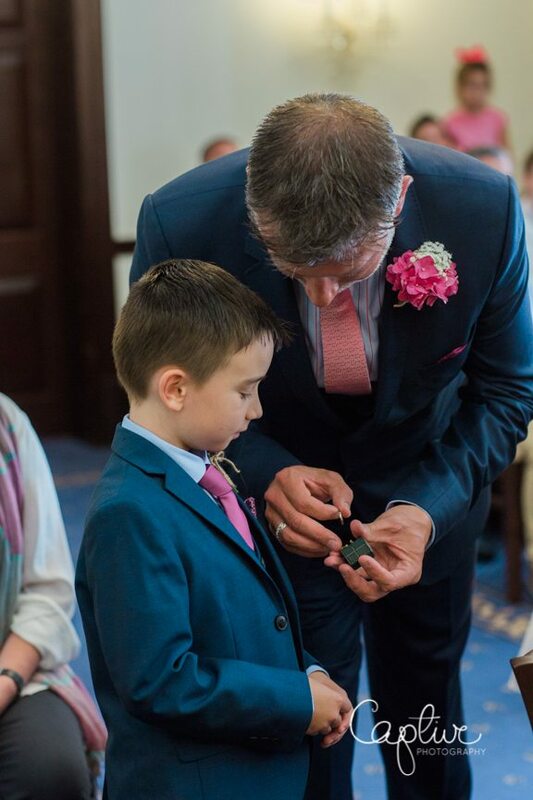 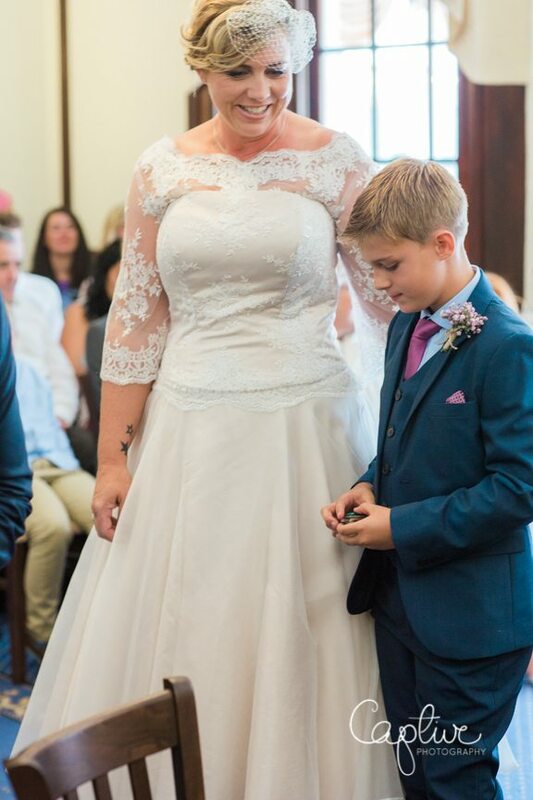 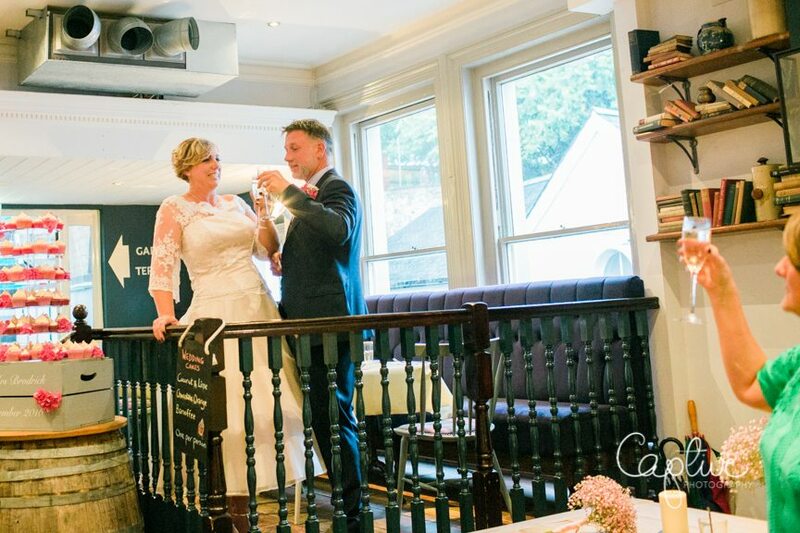 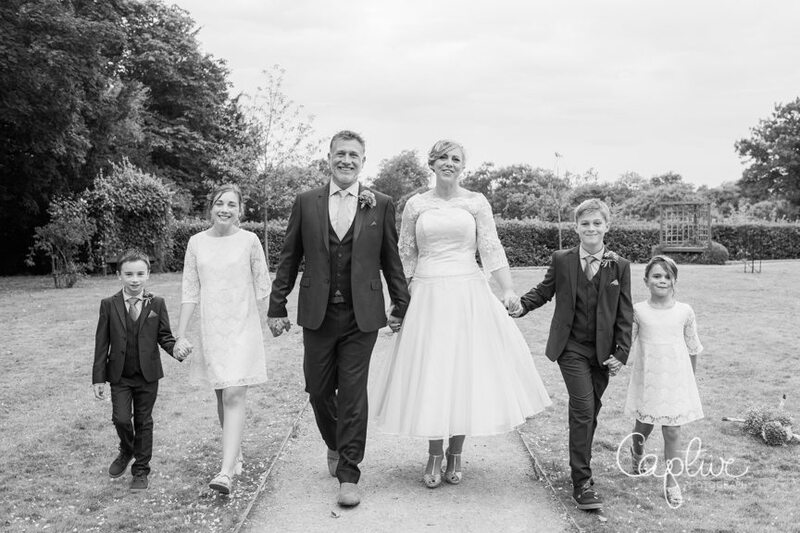 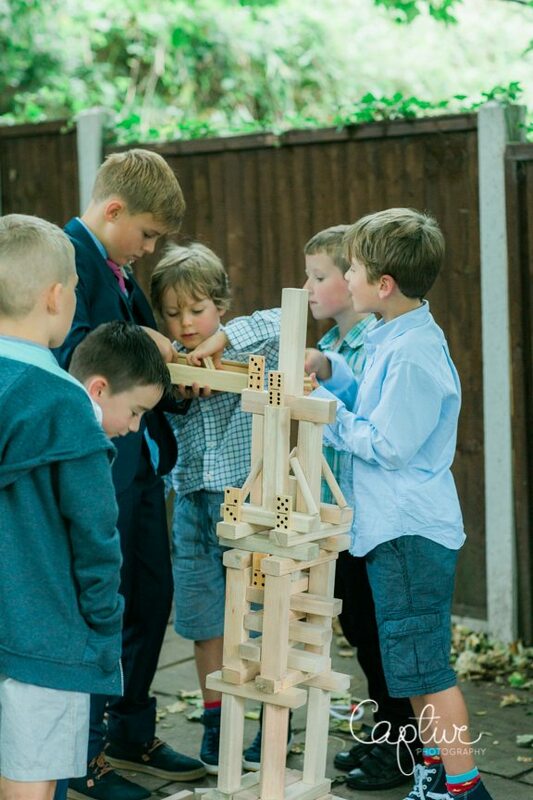 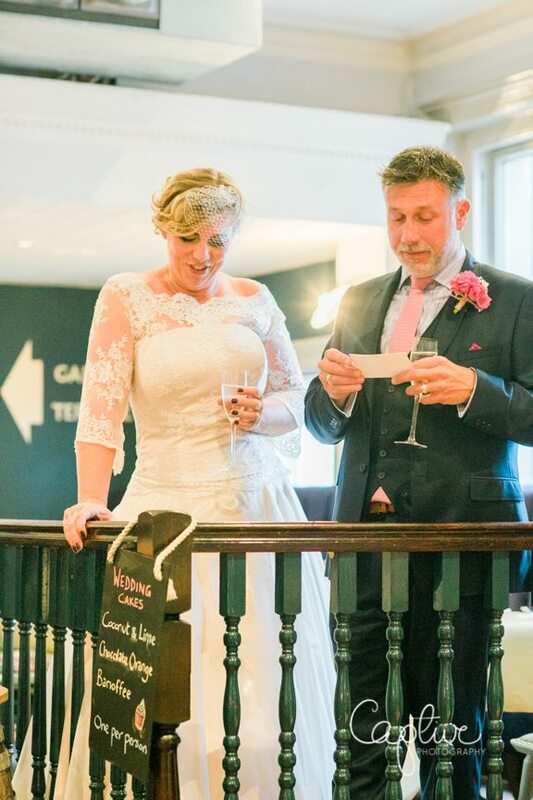 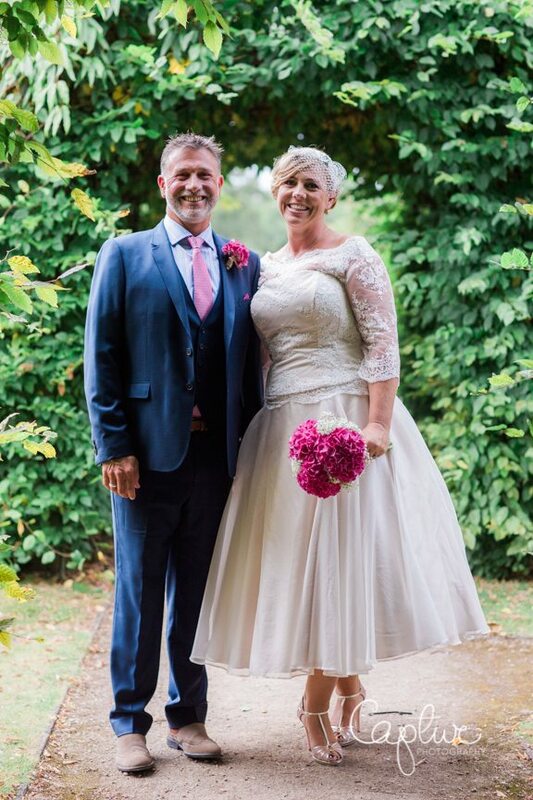 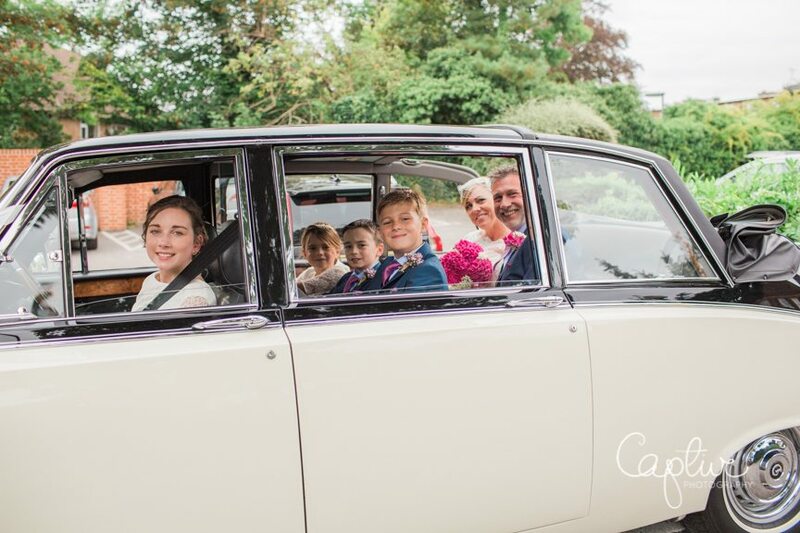 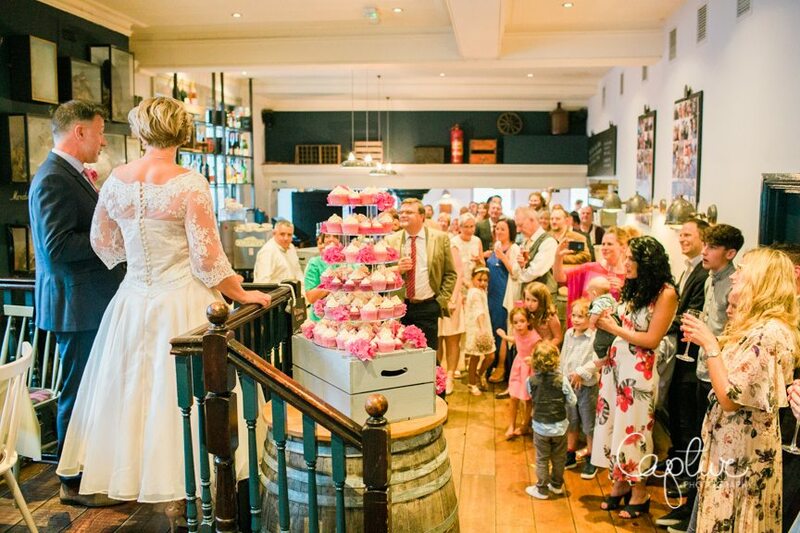 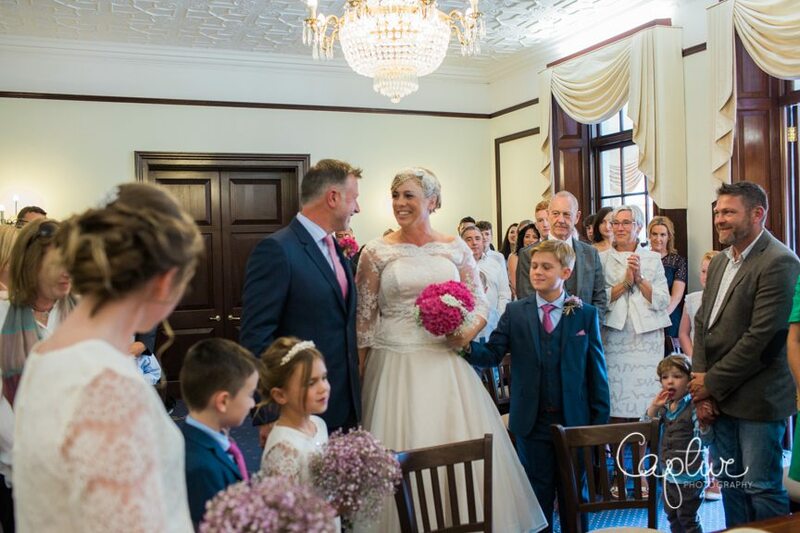 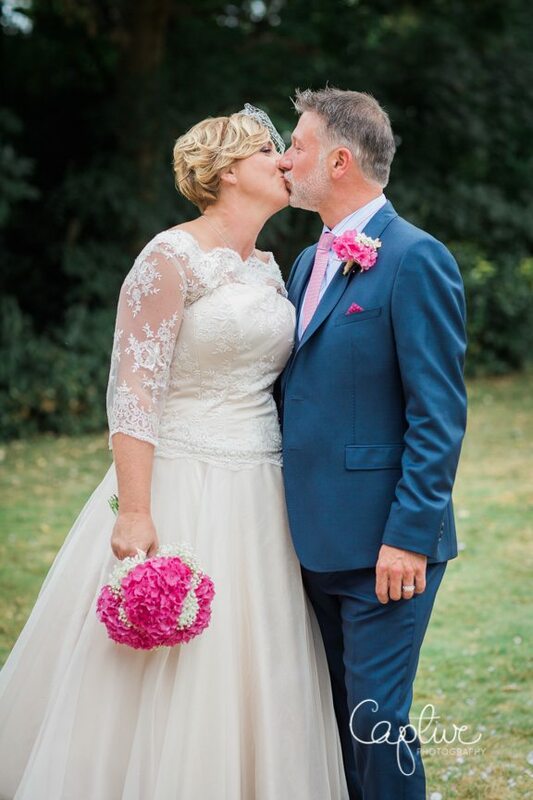 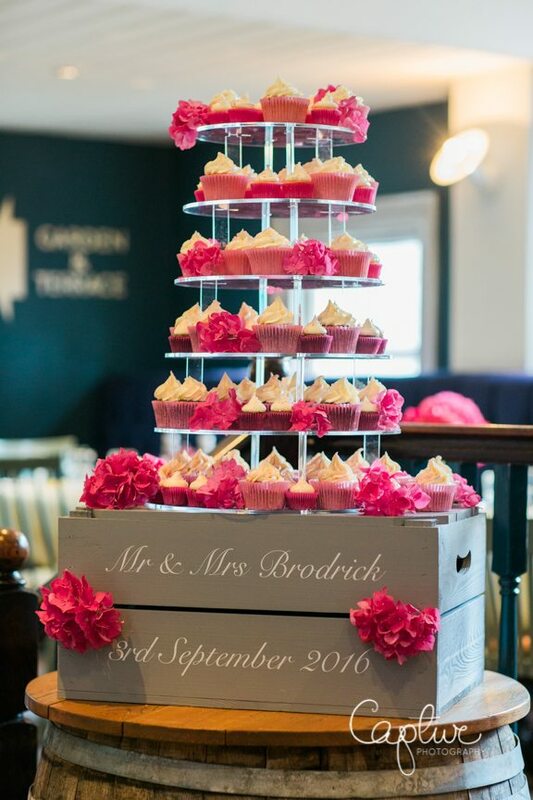 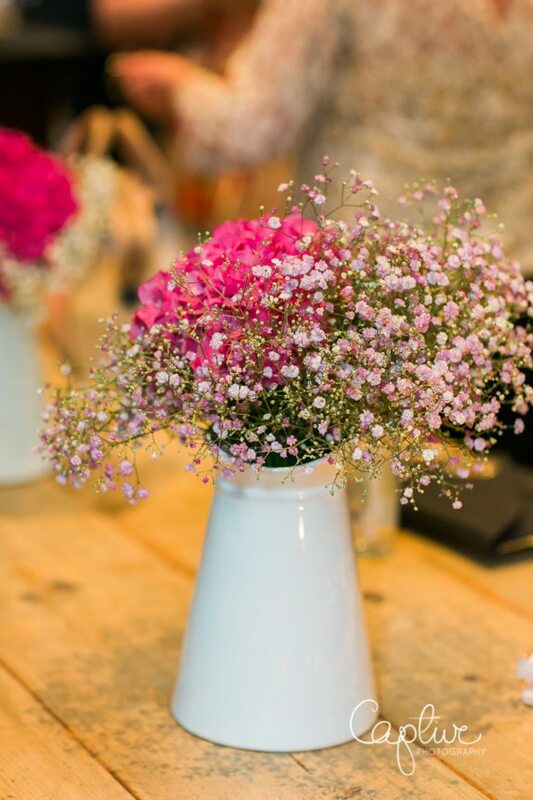 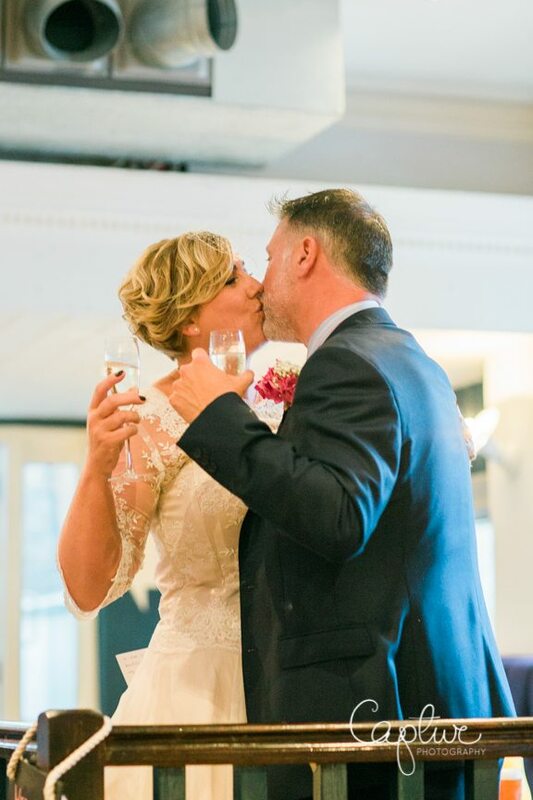 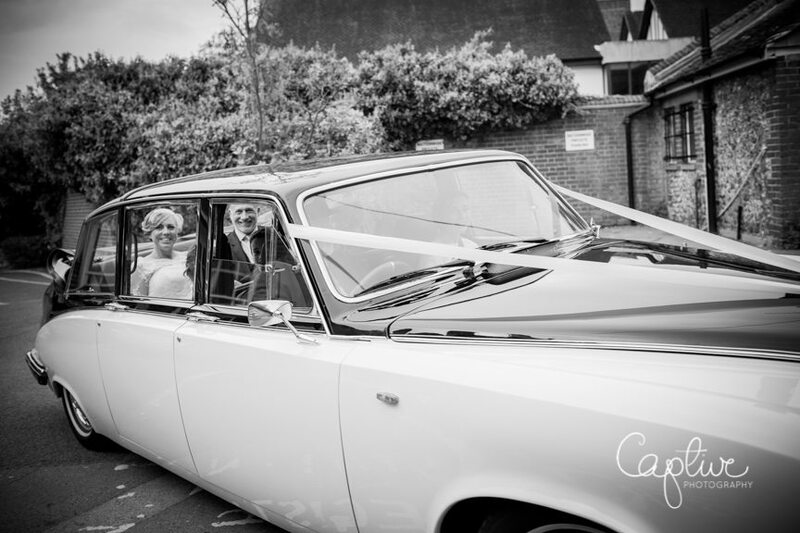 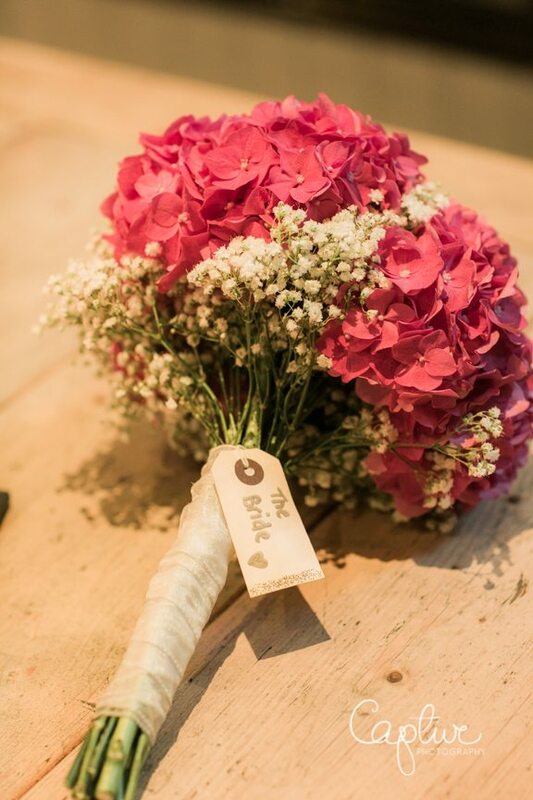 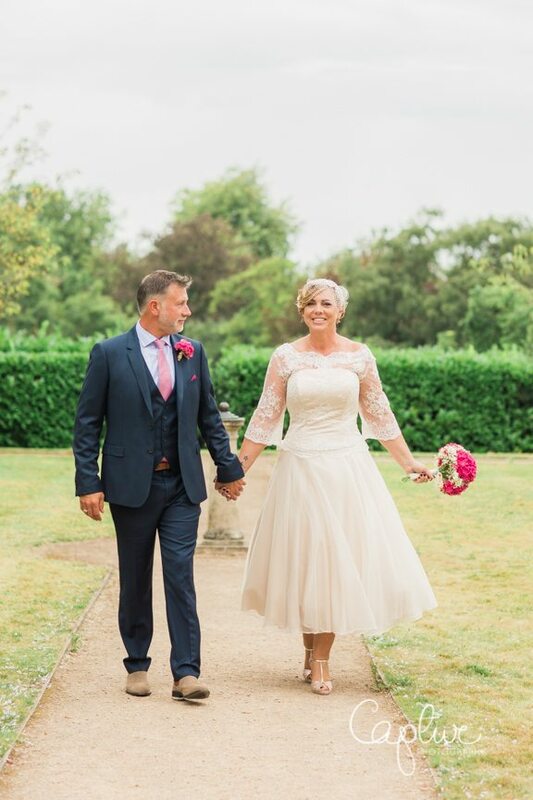 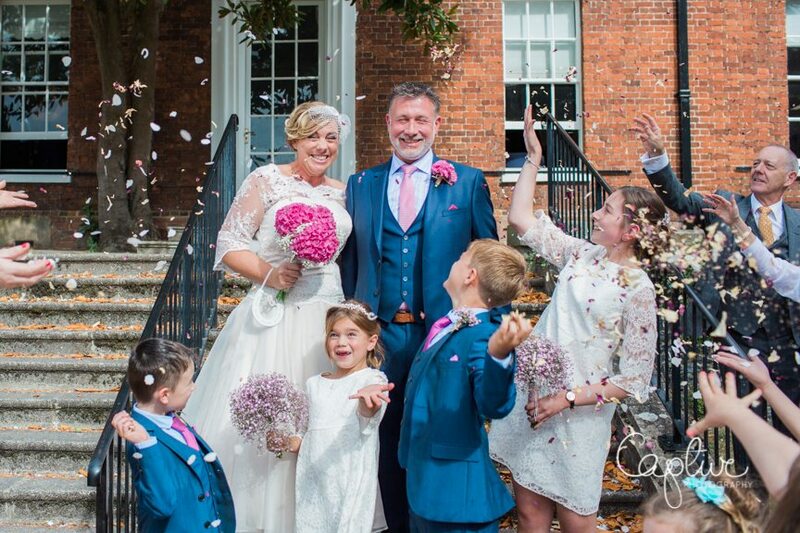 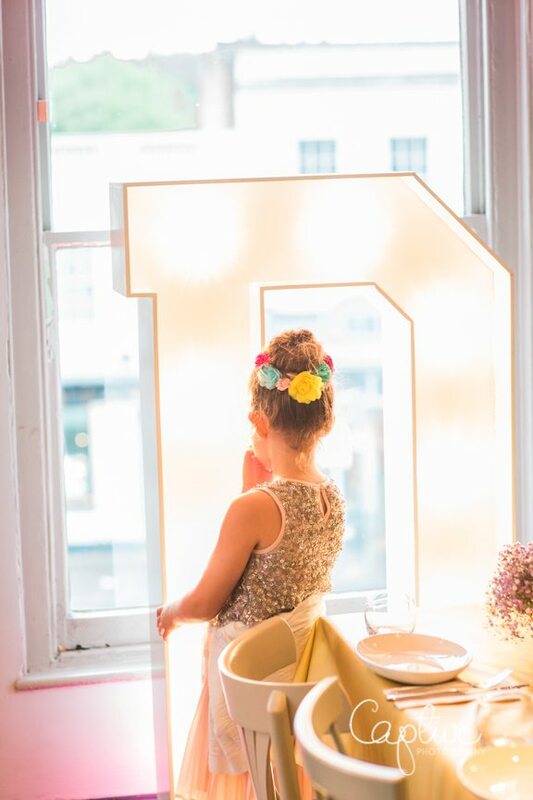 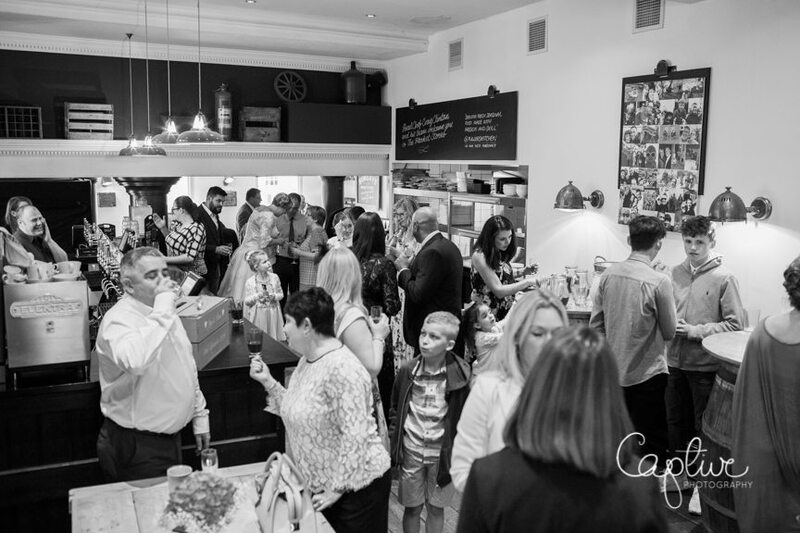 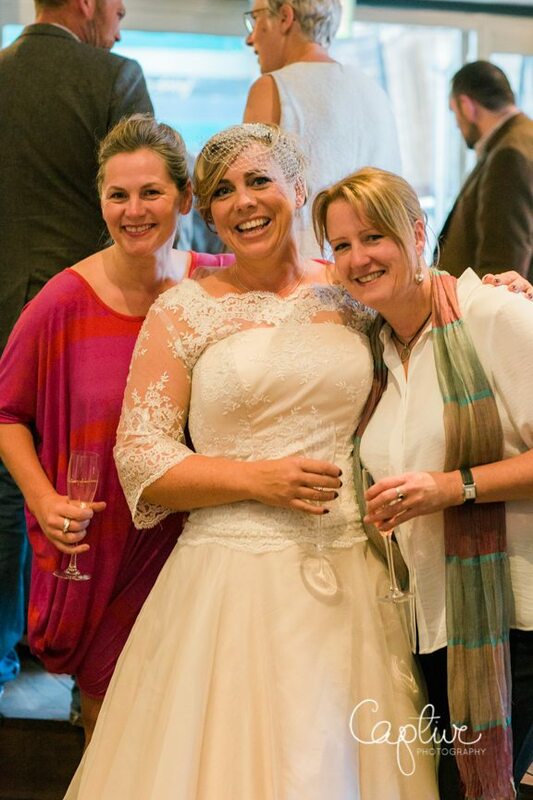 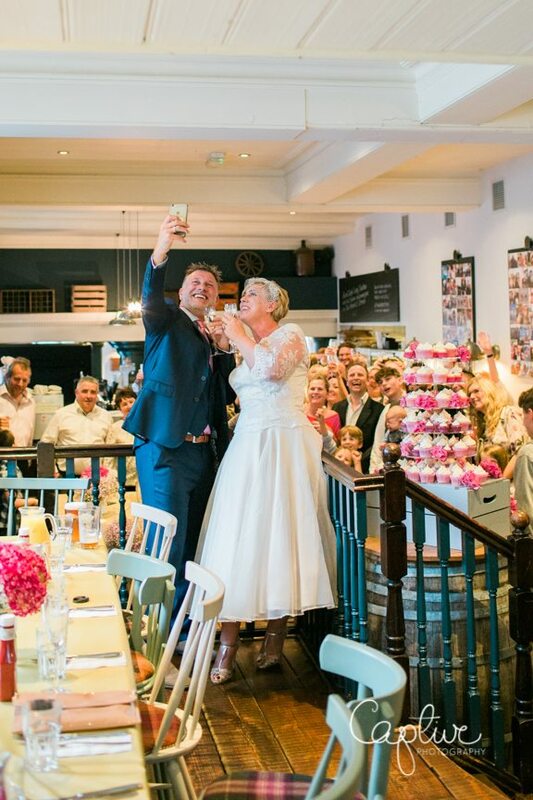 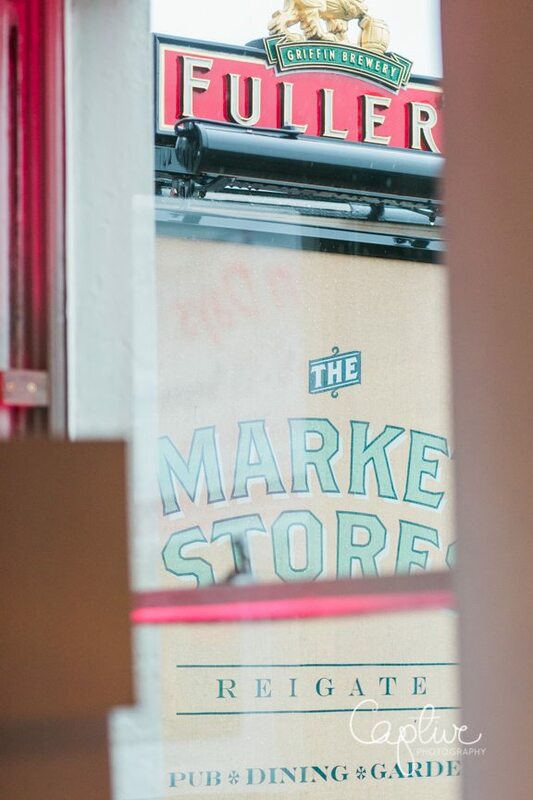 The couple held their reception at The Market Stores in Reigate, a local much loved venue, perfect for families and fun….